If you're involved with tourism in Humboldt County, you know Tony Smithers. Tony works tirelessly for our industry's support and responsible growth at the Humboldt County Convention & Visitors Bureau, HCCVB. His passion for our area and its marketing seems boundless. 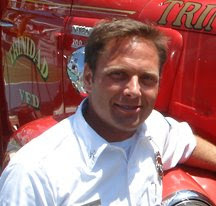 At the April, 2009 HCCVB board meeting, the board directed Tony to continue researching Tourism Business Improvement Districts and provide more information including any downsides to forming a TBID in Humboldt County. Please read his TBID Report online at the Humboldt Lodging Alliance's website. Thank you Tony for all your hard work. Doesn't TOT pay for tourism promotion? Even as destination marketing becomes more competitive and our neighbors have increased their budgets with TBIDs, Humboldt County’s marketing budget has decreased. While we will always lobby vigorously for government to invest TOT in tourism promotion, we need another funding source if we are to remain competitive. Wednesday, June 23, 10 am to 2 pm at the Red Lion Hotel, Eureka. Come and learn about Tourism Business Improvement Districts (TBIDs) from John Lambeth, the leading expert in California. Hear from lodging operators Jeff Stanford from Mendocino and Bert Meyer from Redding on how TBIDs have worked for them. The Humboldt CVB board of directors will be looking for YOUR direction on whether to recommend formation of a tourism district. Make sure your voice is heard! 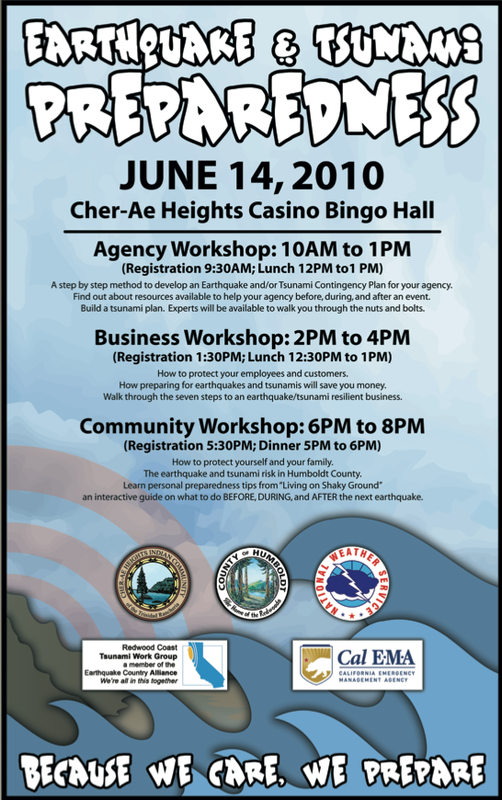 Monday, June 14, 2010 at the Cher-Ae Heights Casino Bingo Hall. Chamber Players of the Redwoods, an association of residents who play chamber music, will present works by Beethoven, Praetorius, Josquin des Pres, Thomas Morely and others in a benefit concert for the Friends of the Trinidad Library Building Fund. The concert is free but donations for the Library Building Fund are very welcome.